This is a unique home filled with character!! Built in 1953 with glass door knobs and french doors. It has wood floors throughout the home with a 100 sq ft pantry/laundry room off the kitchen with ceramic tile. Two of the three bedrooms have custom made California closets. This all sits on an over sized lot with a beautiful wood deck off the dining room. 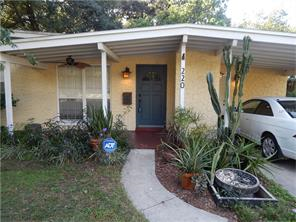 Close to the 408, Thornton Park, downtown Orlando and right down the street from Langford Park. Mature landscaping and no HOA!! !